More people are turning towards military style fitness regimes in order to get the body beautiful in time for the summer. 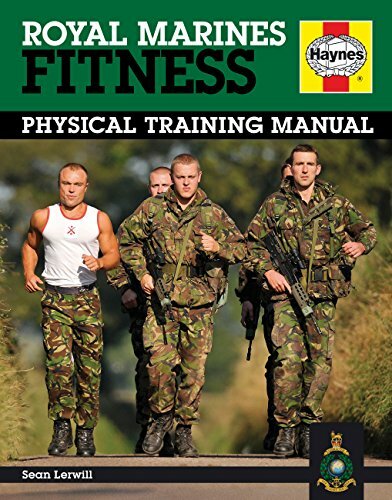 Your local army careers office will hold fitness plans that you can work with. Alternatively, you could search the internet for examples of the different types of training that the British army engages in. 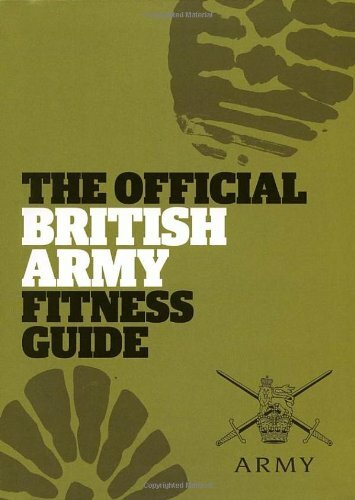 This article will explain in detail the 8-mile TAB which is a summative fitness assessment that is well known within the army to be one of the most arduous of all of the annual assessments. The TAB or Tactical Advance to Battle is a timed 8-mile walk in full fighting order and a rifle. The walk must be competed in a time of not more than 2 hours and not less than 1 hour 55 minutes. 3 of the miles should be completed off road while the remainder should be on a hard surface. Of course, being the army, you must carry weight. For infantry cap badges the weight is 25kgs and for other cap badges the weight drops to 20kgs and then to 15kgs depending on trade. Of course, when training to be as fit as a soldier, you’ll want to carry what the infantry carry but the 20kg and 15kg limits are still relevant depending on corps. When the military TAB their weapon and body armour constitute part of the weight so their bergans aren’t packed with everything but the kitchen sink. Water does not make up part of the weight, however, so if you attempt the TAB bear that in mind. The TAB, or TABing as it is often known as, is designed to test the aerobic capacity of the participant and their muscular strength in the upper body and lower limbs. It is a hard training exercise and if you complete it within the time then your body will remind of the fact afterwards. Due to the pace of walking and the weight carried, your legs will use muscles in a way that is not normal during a normal stroll. Due to the use of different muscle groups and the high tempo of the activity, plenty of TABs will get you fit in no time at all. When doing high stress, high tempo, and weighted exercise, certain things should be taken into account to keep you safe and free from injury. The main risk from doing the exercise comes from the ground that you will be walking on. Twisted ankles and potentially worse can occur on undulating ground, so suitable footwear should be worn and extra attention should be given whilst moving along. Other issues with feet can arise if incorrect footwear and socks are worn. A TAB will take you over a long distance in a relatively short time, and so blisters can be a major problem. Good boots, good socks (sometimes a walking sock over a training sock), and dry feet will help prevent problems. If you are prone to blisters, then taping your feet in troublesome areas with zinc oxide tape is advisable. Due to most people rarely carrying out such exercise, troublesome areas are not always apparent to the walker. Hot spots will form before blisters so recognizing the signs is essential in prevention. If you notice what feels like a blister it will probably be a hot spot and you should take a note of it. If it develops into a blister, then you will know for next time. Small blisters will heal quickly, but extra care must be taken when hotspots develop on the heels. Heel blisters can be incapacitating so early prevention is a must. If you think a heel blister is developing then stop and treat it. Water consumption on a TAB is essential. Make sure that you are hydrated before you start and keep drinking while you move even if you believe yourself to be ok. Due to the speed that you will be moving and the weight that you will be carrying, you will sweat profusely. Wear loose fitting clothes that you can open to vent. When drinking, make sure that you have at least a litre with you and if possible carry it in a hydration system so that you can sip throughout the exercise. Hold some in reserve for the end of the TAB because when you stop you will start to feel thirstier. At the end of the TAB, it is imperative that you stretch off. As previously mentioned the nature of the exercise means that you will be using muscle groups in ways that you don’t normally use them. As with any physical endeavor stretching should be done as a matter of course but because a TAB is a long distance event done over 2 hours your body will have used a lot of energy and it will have been under a lot of stress. Don’t cheat on your normal stretches. The chances are that you will feel an ache after the first few times anyway, but if you don’t stretch properly there is a greater probability that you’ll struggle the next day. Armed with this information, you should now be prepared to go. Plan your route, tell somebody where you’re going and when you expect to get back, pack your weight, pack your water, and set off. Completing a TAB will give you the experience that every soldier in the British army has had, and doing them frequently will mean that you’ll soon see your fitness levels soar. Good luck, but most of all, train safe.